Cozumel has gained worldwide attention via its extensive tall coral reefs and sandy beaches, sun and clear waters are part of natural beauty of Cozumel. Cozumel has developed into a cruise ship stop along the Caribbean waters. Full line accommodations, restaurants and shopping compliment the best diving you can ever experience. Non-divers also enjoy the water sports and beaches. Cozumel Mexico is the biggest island in Mexico, located on the Yucatan Peninsula (East side of México, in the Caribbean) with an extension of 392 square km, 28 miles long and 10 miles wide. It is separated from the Yucatan Peninsula by the Yucatan channel which is 12 miles wide. Cozumel is located on 20° 31′ lat N and 86° 56′ long W.
Most of the population of the Island resides in the town of San Miguel, on the west coast of the Island facing mainland. Cozumel has three shallow lagoons located in the northern tip, Laguna Monte Cristo, Paso Balem, and Rio de la Plata. The lagoons are 3-18 inches deep with flats and shallows for as far as the eye can see. To get a boat and guide ask the people at your hotel or visit Playa San Juan and make enquiries there. For golfers, Cozumel has an 18 hole par 72 Championship Golf Course designed by the Nicklaus design group. Best to make a reservation but walk-ins accepted. Get ready to enjoy a fascinating adventure through the jungle of Cozumel on an incredible ATV ride. The ATV adventure starts from the Mayan town “El Cedral” and takes you through abundant jungle to visit a natural cenote (freshwater sinkhole), after that you’ll get to explore an underground cave. After riding to all these places, you’ll be transported to one of the most beautiful beaches on Cozumel Island, where you can enjoy the warm water and the soft sand. Choose between relaxing under the sun, or experiencing a snorkeling adventure, for no extra cost, in the amazing turquoise waters of the Caribbean Sea. Live an unforgettable experience in Dolphinaris Cozumel, a magnificent dolphinarium on the west coast of Cozumel Island, amid gorgeous natural lagoons and an extraordinary Caribbean Sea view. With Dolphin Swim and Ride, you will have the opportunity to play with bottlenose dolphins, interact with them, understand dolphin behavior, swim with them and kiss them, among other activities. Sandy walk-in beaches on the west or leeward side of the island generally have calm water. Snorkeling may be disappointing in the sandy areas since any disturbance on a sandy bottom [waves, walking, jumping, playing] suspends sand particles in the water which decrease visibility and make it very hard for coral polyps to thrive. Without coral for camoflage and protection, one will not see as much marine life. Beaches with a rocky limestone shoreline on the west coast are the best forsnorkeling or shore dives since less sand is disturbed so visibility and coral growth are better. Sandy surf and large waves alternating with rocky limestone coastlines on the east or windward side of the island are beautiful but can be dangerous. The roaring surf creates strong breakers and undertows. Never enter the water alone. Swimming is not recommended on most of the east side beaches. There are now many areas where flags are displayed showing the level of safety for a particular area. Despite the dangerous swimming conditions, these beaches are stunning and serene for those wanting sunbathing, long walks or playing in the water very close to shore. 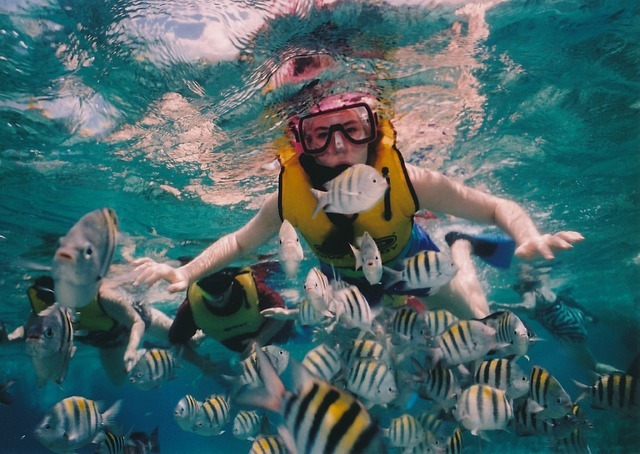 Cozumel’s amazing underwater world was first experienced by Jacques-Yves Cousteau in the 60’s. Since then divers have flocked to the area to see all the wondrous sites to be experienced here. The reefs vary from very shallow to extremely deep. But with the amazingly clear water here, it is possible to see all the corals and sea life even as a snorkeler. 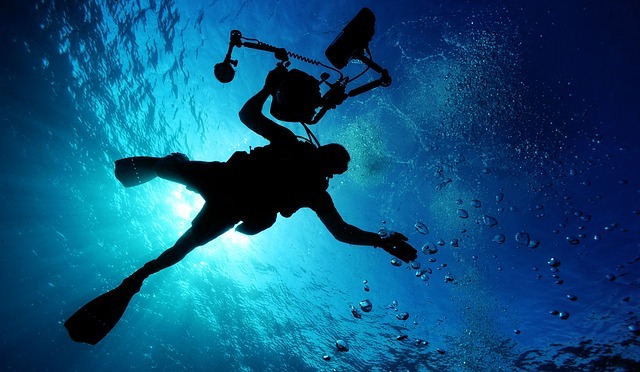 Cozumel’s diving is special in that it is almost all “Drift Diving”. By that I mean that you “go with the flow”. You allow yourself to float above the reefs using the current to push you along. It is lazy diving at its best. Once you get the hang of it, you will be seriously hooked. Cozumel’s most concentrated shopping area centers around San Miguel’s zócalo (Plaza del Sol) and extends for about 8 blocks along the waterfront and for several blocks back into the town. Good buys can be found on Yucatecan hammocks, leather goods, embroidered and lace clothing and table linens, silver jewelry, ceramics and decorative metalwork and carved wood.. You will also find high-quality handicrafts from all over Mexico–but because of the cost of importation to the island, you may find slightly better buys on these on the Mainland. Lose yourself for hours amongst Cozumel’s many fantastic shops. Moped rental has become the preferred method of touring. Cozumel has lots to offer to everybody regardless of age, with great Hotel facilities and accommodations, ranging from 5 star hotels in the downtown area to hostels. Tourists and locals stroll together in the main plaza while international cruise ships dock in the bay. Come and enjoy a relaxed and safe vacation in the Mexico. Rent a car and drive around the island at least once. You can also take a taxi and pay by the hour. There are interesting sites along the coastline and quite a few cafes/bars/restaurants. The climate in Cozumel is often classed as sub-tropical, due to its constant fine weather and resultant high temperatures. Cozumel’s climate is often compared to that of Cancun and both of these cities enjoy plenty of sunshine and cloudless blue skies, meaning that tourists will be in for a treat, whatever the month or season. Temperatures in Cozumel stay well above 20°C / 68°F for the entire year, meaning that the sunbathing opportunities and beach fun is virtually unlimited. During April, May, June and July, the months with the hottest weather, the waters around Cozumel’s coastline warm up dramatically and are perfect for snorkelling and scuba diving. These crystal waters boast exceptional visibility levels of up to 60 metres / 200 feet and when they hot up, are literally teeming with colourful fish and aquatic life. The rainy season in Cozumel is fairly predictable and you can expect rainy weather at any time between May and October. Showers tend to be brief and fall late in the afternoon or early evening, meaning that the majority of the day is unaffected and still perfect for sightseeing. However, Cozumel’s weather and climate during September and October becomes a little more changeable and gusty winds are not unheard of, with even occasional hurricanes and tropical storms some years. Humidity levels in Cozumel are fairly high, although the cooling sea breezes make even the most muggy days feel more agreeable. Spring is an appealing time to visit Cozumel, when the waters are warm and rainy weather is unlikely, although jackets will often be needed by evening. By the time that summer arrives, the days are long and sunsets can be as late as 21:00. In Cancun, the US dollar is widely accepted. However, most prices are quoted in Mexican pesos. This can lead to sticker shock when you see a restaurant main course for $35.00. Usually, any price that has a decimal sign is in pesos. Pesos can also be indicated by a price like “N$35”. The N stands for “new pesos”. If you see a bill with a high value, in the thousands or millions, that is “old pesos” and you have to chop three zeros from the number to get the true value. I thought someone gave me 20,000 pesos change by mistake but alas, it was only worth 20.